What are different thyroid diseases? Thyroid diseases mostly occur when there is not a proper supply of thyroid hormone by the body. If thyroid gland becomes overactive, it releases large amount of thyroid hormone in the blood. This condition is known as hyperthyroidism in which body energy is used more quickly and metabolism speeds up in the cells. In case of underactive condition of thyroid, a disease produced called hypothyroidism. In case of hypothyroidism, the level of thyroid hormone which releases in the blood is below its normal level. Energy is used up by the body more slowly and metabolism becomes slows down in the cells. Since both hyperthyroidism and hypothyroidism are two different conditions as in both cases the size of thyroid gland increases than normal. This enlarged gland can be seen in the front of person’s neck. 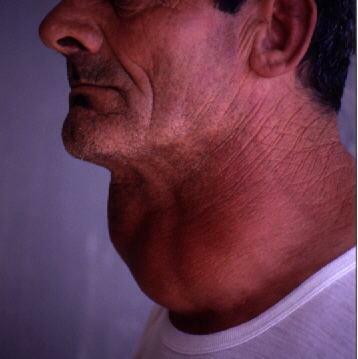 Goiter or goiter symptoms are produced when size of thyroid gland becomes large enough to be seen clearly. Thyroid cancer is among other thyroid diseases.